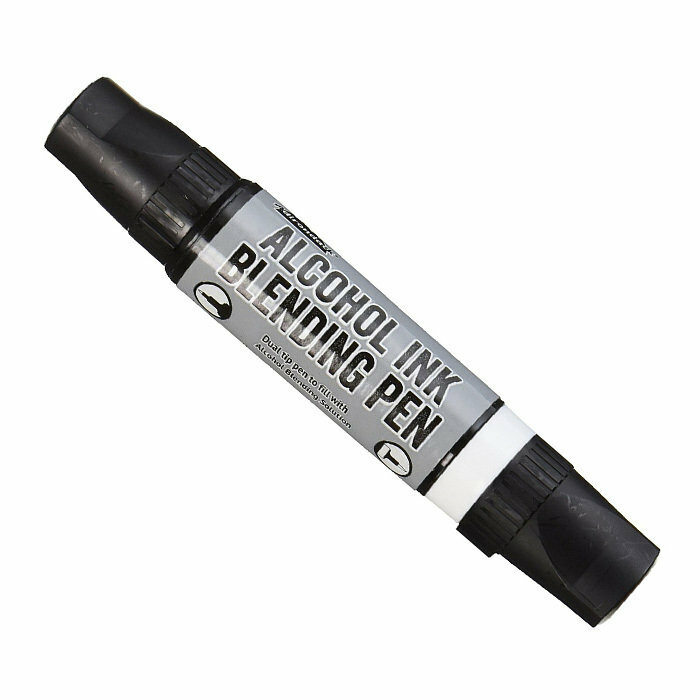 Alcohol Ink Blending Pen - Empty - Create a custom pen with your favorite Adirondack alcohol inks (sold separately)! With this dual tipped pen you can draw doodle journal outline and color using the flexible brush tip or the fine point nib. Use on glossy and matte papers glass metal and plastic. This package contains one empty blending pen with an ergonomic handle and an area that can be used to label the pen with the color of contents.